There’s a New Delivery Service at WDW – Pixie Dust Delivery Service – And It’s the Best! You plan a perfect Walt Disney World vacation. You order groceries to be delivered to your resort. It isn’t what you ordered when delivered. You now spend 3 hours trying to straighten out your order. You order a gift basket to be put in your resort room to celebrate a birthday, an anniversary, a graduation. It never comes! I have heard many good things about the delivery services at WDW but I have also heard horror stories. Pixie Dust Delivery Service will never let you down! I have known the owner of Pixie Dust Delivery Service for several years. A former Walt Disney World® Cast Member who lives in Orlando, she knows the park, knows the merchandise and most importantly, will work hard to make your delivery perfect! She will make sure you get the best price on everything you need, even using coupons on your grocery order as if she were shopping for her own family. 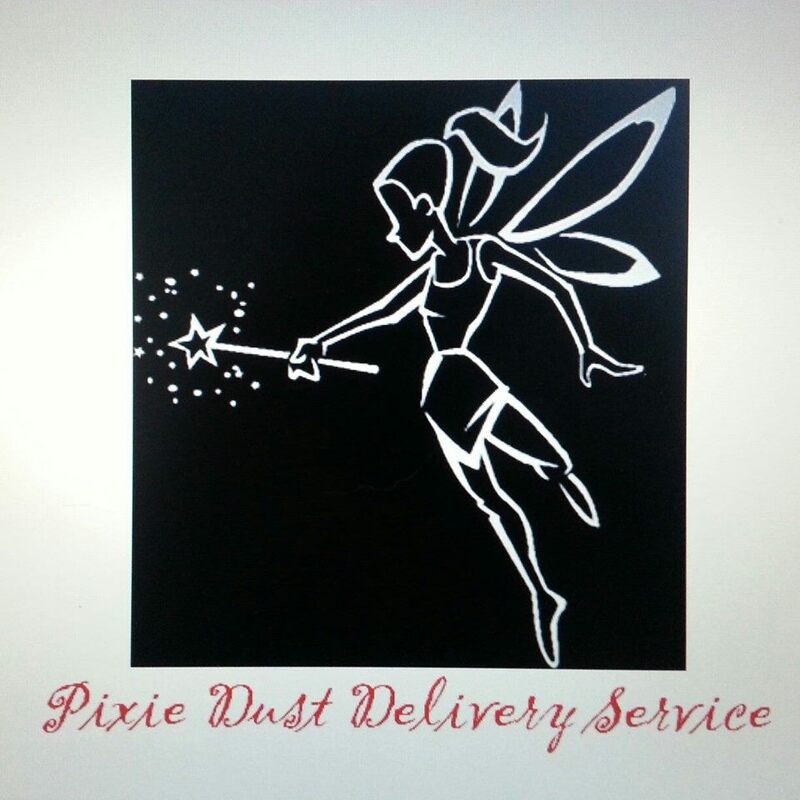 Why not give Pixie Dust Delivery Service a try the next time you visit Walt Disney World® and need your supplies delivered right to your resort! You will never find a more trust-worthy company! “Enjoy affordable and convenient personal shopping and delivery services to Walt Disney World resort hotels, and to your home with help from our shopping experts based in Orlando, FL. Pixie Dust Delivery is your one stop shop for groceries, baby supplies, convenience items and more! We can even create a one of a kind gift basket for any special occasion and have it delivered to your room! Did you forget that special souvenir while you were here? Want some great Christmas gifts for your family direct from Disney World? How about limited edition merchandise from special events like Star Wars Weekends? We can get it home to you in a flash! Our Disney experts take you away from the “ordinary” and deliver the “extraordinary.” Contact us now for information about how we can make your visit more affordable and less complicated! We Do it All for You – From snacks, bottled water, and breakfast items, to baby care supplies, we can bring all that and more, right to your resort hotel, saving you time, money, and stress. If you’re celebrating a birthday, anniversary, first visit, or just want something special in your room, we can design a one of a kind gift basket! Have you every considered how much money you spend during a week’s visit to Disney World, just on snacks, beverages and breakfast? I have! I’m a former Disney World cast member, frequent vacation planner for family and friends, a mom of two who has taken Disney World vacations dozens of times in the past 20 years, and visited the parks over 300 times! Let me use my expertise to help you get more for your Disney Dollar. I started a business to deliver groceries and custom gift baskets to the Disney World area resort hotels! I also ship Disney merchandise and custom gift baskets to clients out of town, so they can get that little extra magic at home. All orders require a minimum $50 purchase, plus a $10 delivery fee (or shipping which varies), a 20% handling fee, and 6 sales tax, where applicable. My delivery services work a little differently than my competitors. They will give you a set list of grocery items, with set pricing. They also limit the hours and days they will deliver your order. My service allows you to customize your order to suit your family’s needs. There is complete flexibility for items and brands! And I will work with you to deliver your order at your convenience. I will also apply any special offers, sales, and coupons that I can find, to help you Maximize The Magic! You can even send me coupons for products you’d like, giving you even more for your Disney Dollar! With a Little Extra Magic! So excited to read this article! I want to do something for our 20th anniversary, but I wasn’t too excited by what Disney Florists has to offer. I started to look at other vendors, and found this article. I’m excited that I can order from someone who has a good reputation.